(L-R) FDC presidency hopeful Patrick Amuriat Oboi, Dr Besigye and candidate Mariam Nantale inside Iganga Hospital talk to a man who was hacked on the head in the heat of one of the sporadic incidents of campaign violence which have marred woman MP by-election. Courtesy picture. 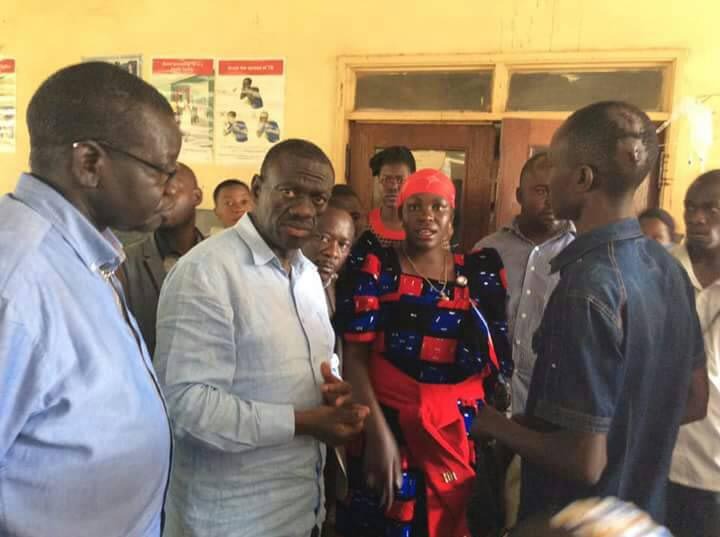 With less than two days left for Iganga residents to elect their woman Member of Parliament, former Forum for Democratic Change (FDC) presidential candidate Dr Kizza Besigye, today visited patients in Iganga Hospital. Dr Besigye who was in the company of Mariam Nantale, the FDC candidate in the race, and other party big wigs talked to different patients reportedly hacked and injured by NRM supporters. His visit is part of a day-long itinerary which will take him and other senior party officials on a vote-hunting trail across Iganga today afternoon. Nantale is contesting against Brenda Asinde (NRM) in the hotly contested by-election slated for September 14. The race has been marred by violence unparalled in recent by-elections conducted this year. During yesterday’s encounter, a vehicle reportedly belonging to NRM supporters knocked Kadil Basitwile and Yorinim Osere. The two are currently receiving treatment at Iganga hospital. 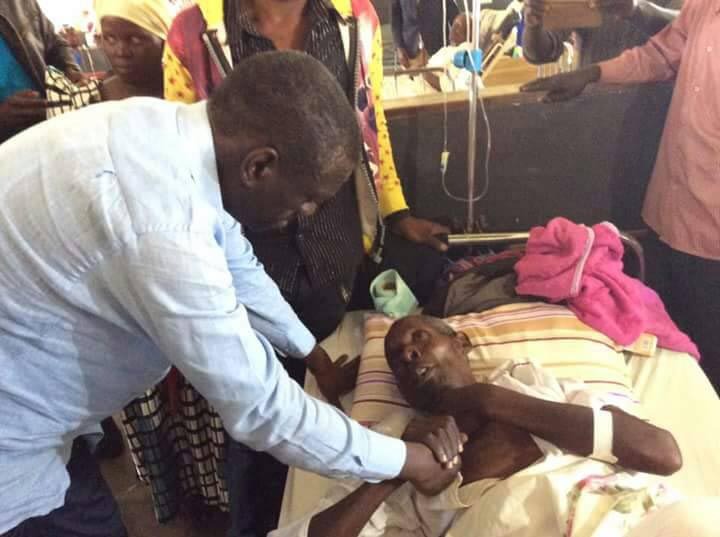 FDC supremo Dr Besigye empathises with another patient in Iganga Hospital today. COurtesy picture. Dr Besigye promised to provide financial support to the victims. Walid Mulindwa, the party youth chairperson, told PML Daily that the FDC supporters were knocked down as they returned from Idudi in Bugweri county where they had escorted Nantale to a campaign rally. The Iganga Woman MP seat fell vacant after the death of Hailat Magumba who succumbed to pregnancy-related complications in May this year. Yesterday, President Museveni also joined the campaigning, rallying support for Asinde. Accompanied by party leaders Justine Kasule Lumumba (secretay general) and Peter Mugema (Iganga Municipality MP), Museveni asked the people to vote for Asinde. Museveni also outlined a number of government achievements in the sub- region including tarmacking Jinja-Tororo, Iganga – Tirinyi, Jinja – Kamuli, Iganga – Kaliro and Magamaga as well as Mayuge-Namayingo roads. It’s too early to predict the winner but the political battle is between Asinde and Nantale. Throughout the campaigns, the supporters of both camps have been engaging in violence. So far, the by-elections organised by Electoral Commission across the country since last year’s general elections, the NRM has won 10 out of 12. It was only defeated by independent opposition-leaning candidates in Kyadondo East and and Aruu Uganda.